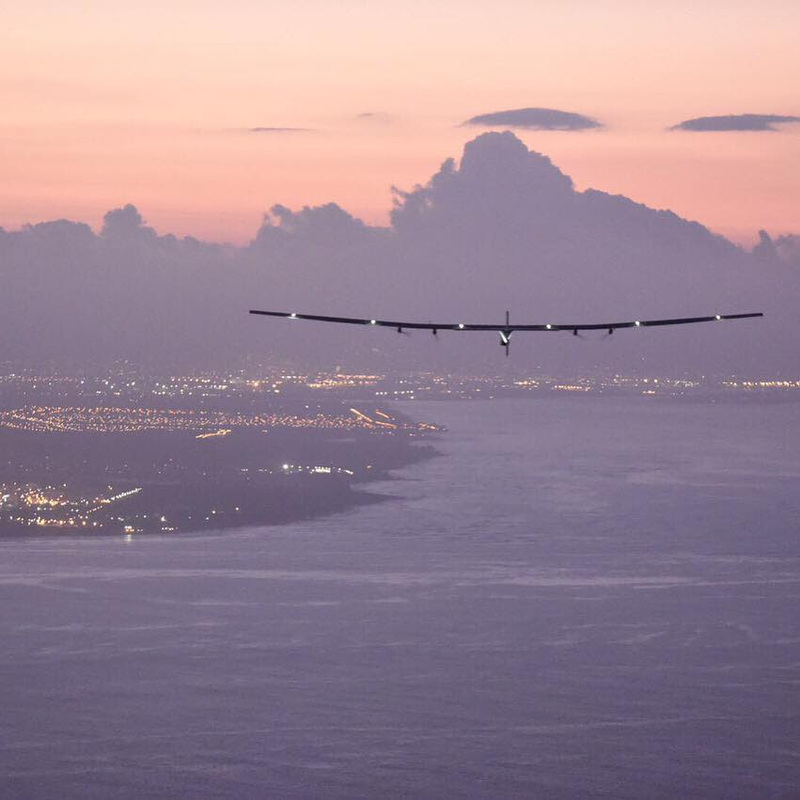 RECORD-BREAKING SOLAR FLIGHT REACHES HAWAII AFTER 5 NIGHTS AND DAYS AIRBORNE WITHOUT FUEL“I feel exhilarated by this extraordinary journey. I have climbed the equivalent altitude of Mount Everest five times without much rest. The team at the Mission Control Center in Monaco (MCC) was my eyes and my ears… The MCC was battling to give me the possibility to rest and recover, but also maximizing the aircraft’s energy levels and sending me trajectories and flight strategies simulated by computer", said André Borschberg, "This success fully validates the vision that my partner Bertrand Piccard had after his round-the-world balloon flight to reach unlimited endurance in an airplane without fuel", he adds. "What André has achieved is extraordinary from the perspective of a pilot. But furthermore, he has also led the technical team during the construction of this revolutionary prototype", said Bertrand Piccard, initiator of Solar Impulse and one of the pilots. It is a magnificent image of the true "art of the possible". For those who missed it, it is now available to be relived!! They're on to Arizona--but this is now part of history--and fun to be witness to this evolution. We @ the Daily Outsider are absolutely thrilled to add our name www.futureisclean.org campaign to help change the narrative on the future.